I am going out of my comfort zone, and aiming to do a more difficult cosplay. I want to do a gender bender of Hiccup from HTTYD2. I have seen some tutorials on this, but I am not confident in myself at all. Like I don't want to buy all these materials and then mess it up. I was wondering if anyone knew of a person that could help me with this AND collaborate with them so I can help as well as learn. I have the clothes down, but I have never done armor, helmets, and a metal peg leg before. Hi there! 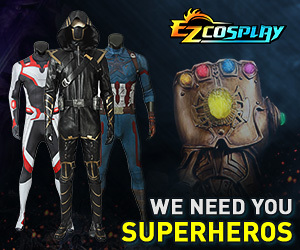 if you really want to try to find someone to collaborate with and cosplay with, the 'seeking cosplayers' forum has several topics for cosplayers in CA, where you might be able to find more responses. If you would like to possibly get started on your armor and props, the 'props/accesorries/armor' forum may be of more use and looking for tutorials is a big help. Sometimes it's worth it to dive right in! Hopefully that helps you out!